One day I will tell my kids about the guy who threw one pitch and got everyone out. It will be the way younger generations hear stories of how things were in the old days. Like how my dad tells me how he would go across the entire town of West Haven, Conn. with his hockey bag on his shoulder to get to school and practice — a feat that seems impossible. And the way I find it hard to believe he did such a thing, I expect my kids and their kids to listen to my stories about the greatest closer ever, but I don’t expect them to believe me when I tell them about Mariano Rivera. Rivera’s success, career and statistics are myth-like and staring at his Baseball Reference page, especially the postseason section, in amazement doesn’t do how good he was justice and won’t do it justice for future generations. The way I laugh at all of the bold numbers on Mickey Mantle’s Baseball Reference page is the way I expect those who didn’t get to experience Rivera to laugh. Thankfully, there’s the Internet and YouTube, but still, there’s something to be said for being in the Stadium on a cold October night, clinging to a crucial lead, but at the same time knowing it was safe. No Baseball Reference page or video can capture the feel of seeing the bullpen door open with the first few notes of “Enter Sandman” causing your chest to vibrate as Bob Shepard calmly announces, “Coming in to pitch for the Yankees, Number 42, Mariano Rivera, Number 42.” The game was over then. Rivera jogging in from the outfield, throwing his warmup pitches and then getting the final outs of the game was essentially a formality. Rivera is now a first-ballot Hall of Famer and the first-ever unanimous Hall of Fame selection. (It’s rather ridiculous it took until 2019 for a player to unanimously be voted into the Hall of Fame, but we’re also talking about a sport which regain its popularity thanks to performance-enhancing drugs and now destroys the credibility of anyone who has ever used performance-enhancing drugs.) But if someone had to be the first-ever unanimous selection, Rivera is the perfect choice as a dominant, humble athlete, who is the best player ever at his position and the greatest relief pitcher in history, and who has been every bit as impressive off the field in his life as he has been on it. The common phrase when it comes to Number 42 has always been “There will never be anyone else like him” and it’s true because no one is reaching the majors with one pitch to their name and no one could be successful in the league for 18 years with a single pitch. But really there won’t be anyone else like him because there won’t be anyone else completely unfazed by pressure, who reacts the same way after the final out of the World Series as he does when he blows a save in the regular season. There won’t be anyone with such a cool persona and the combination of a perfect delivery and pinpoint control. 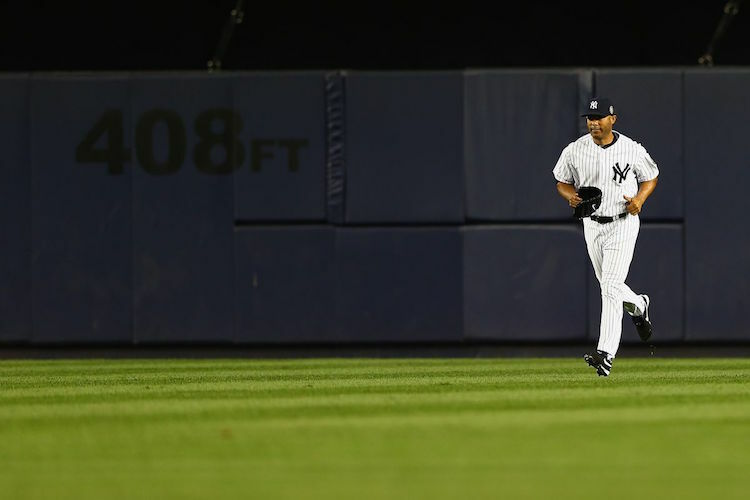 There won’t be anyone like Mariano Rivera ever again.